The route is 7,300 km long with only one check point in Sochi, Russia. The riders get to choose their own route! 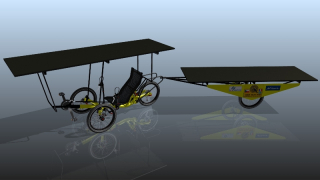 There is also a race category in which the Czech Solar Team will start with two recumbent trikes and 8 sq. meters of solar panels in total. 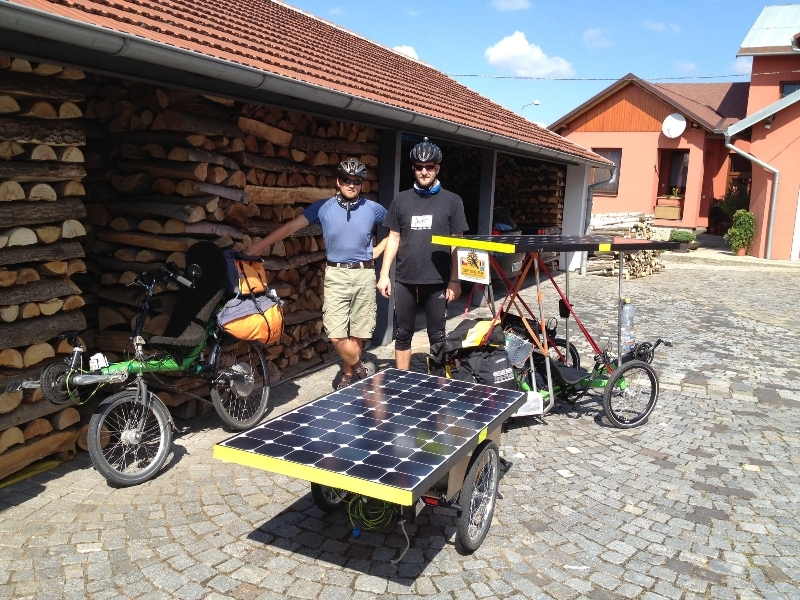 Karel Šebela and Honza Galla are not new to solar e-biking. They rode 2200 km on an electric recumbent tandem with two solar panels on a trailer in 2011 and last year a trip in Hungary where they tested a new concept e-trike for the race. They are the only non-french speaking team and will provide regular updates while preparing for the race and during the race on their website www.czech-solar-team.com where you can also subscribe to their posts. Karel and Honza will ride two solar trikes made by AZUB recumbents which will have solar panels above the riders head and also on the trailer towed by the trike. The size of each panel will be 250cm x 80cm and they support a total power of more than 500W while their Bionx motors will just be 250W. The solar panels are developed specifically for the team by Solartec, a Czech company. The solar e-trikes are built to last, but they will also be fast. The main reason is that Honza with Karel have only 40 days to complete distance which means around 180 km a day. If you consider they will carry all the expedition gear and will have absolutely no support, that is a lot of kilometers per day! The Czech Solar Team along with the organizers of The Sun Trip and other participants want to promote the future of solar electric bike transportation. Until now, electric bicycles have had a limited range of 100 or so kilometers, but in combination with solar panels, there is virtually no limit when the sun shines. And all those 40 participants hope that the big yellow ball will shine on their routes all the way from Chámbery to Astana.